From cockroaches to spiders to mice to termites to the unknown, we handle all and any pest problems in the Baltimore and D.C. Metro area! WEIR Pest Control wants to keep you, your family and your environment safe from all pests and termites. We work efficiently and diligently to resolve all your pest and termite issues, and will even develop a custom-designed pest solution that works specifically for you. Did you know that cockroaches are known to carry 33 types of bacteria, 6 parasitic worms and trigger asthma attacks? Or that in perfect conditions, a nest of mice can deposit 18,000 droppings and produce 2,500 heirs in a six-month period? These are just a few facts that might make you think twice about what could be lurking in your home or building. 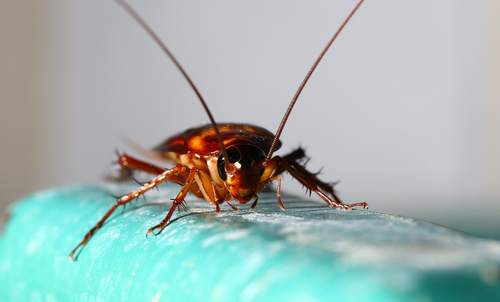 This treatment option will usually be recommended for most roach, pantry pest, flea,bed bugs and infestations that are a little more persistent. Many commercial accounts will usually require at least a minimum monthly frequency. This treatment option is performed every other month. It is initially utilized for several different pest infestations and ramping up or down from other service frequencies. This treatment option will usually be our best value for most pest encountered by home owners. The majority of these pests are classified under general pest classifications such as house ants, crickets, spiders, millipedes, etc. This frequency option will be mostly for commercial applications such as restaurants and larger buildings. Some sites require more attention than others and this frequency allows for the most time and attention to be given. Many commercial applications will find this frequency best suits their needs. This option can be utilized for many pest problems but can not eliminate several infestations such as roaches. This treatment option is fast becoming one of our most popular options. Residential clients with certain types of pest problems can choose to have their homes treated initially and just call us when needed during that coverage year. WEIR Pest Control offers custom-designed solutions based on your unique situation! Call us at 410-551-1178 today to request a free inspection. WEIR is based in Anne Arundel County in Severn, Maryland,and serves the Baltimore and northern D.C.Metro area including Baltimore City,Baltimore County, Harford County, Carroll County, Prince George’s County,Montgomery County, Howard County and Queen Anne County.